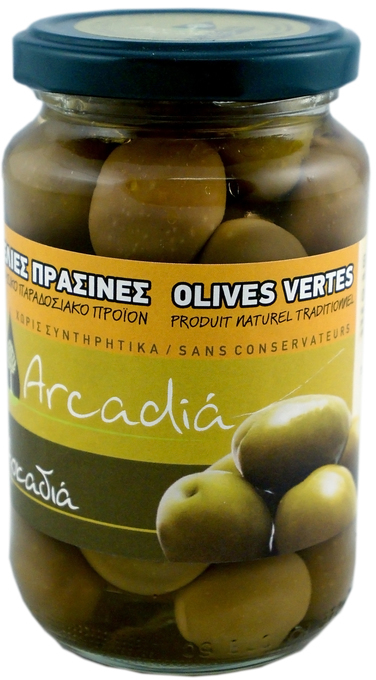 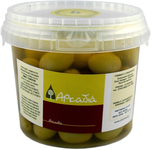 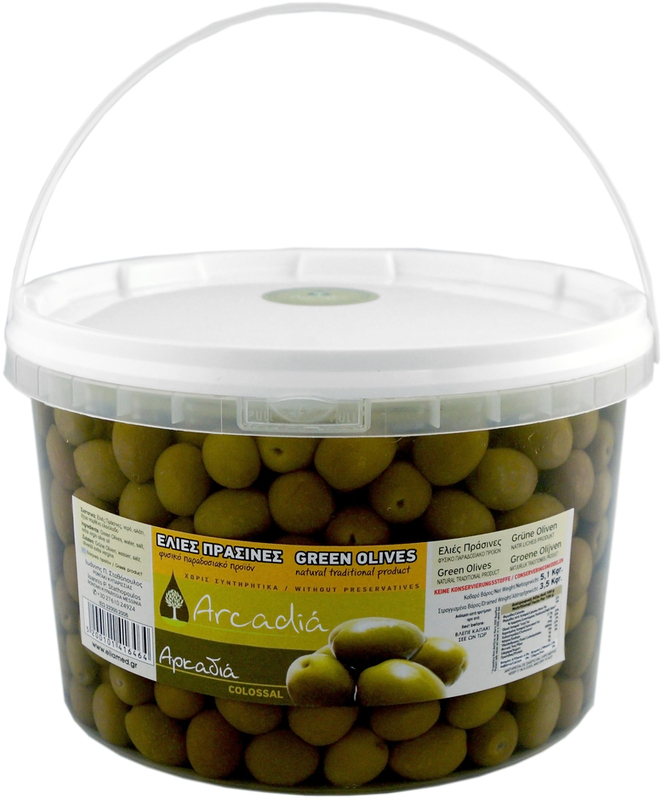 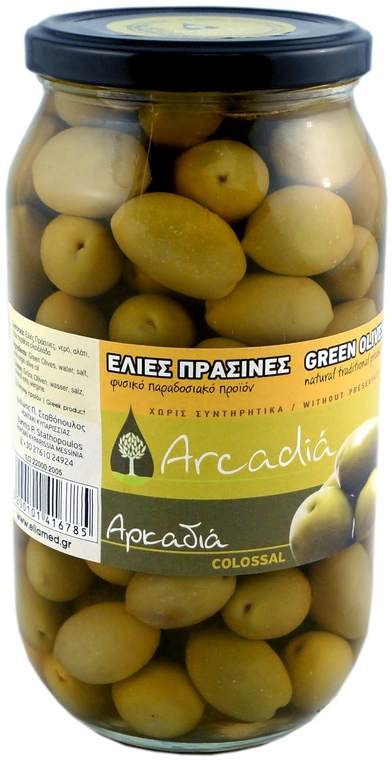 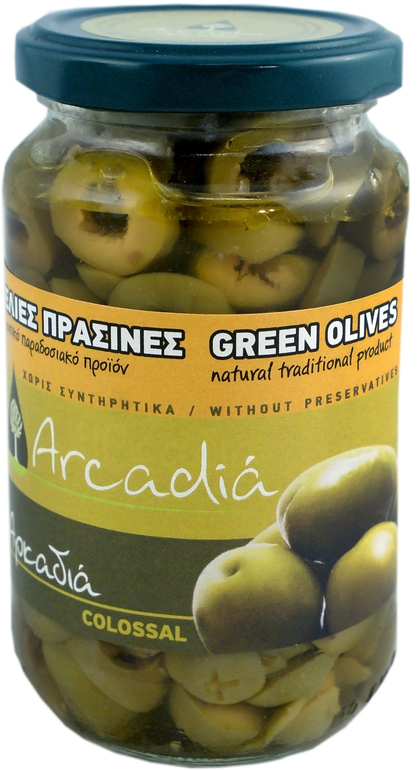 Large-fruited olives grown in central and northern Greece and the most famous is the Halkidiki variety. 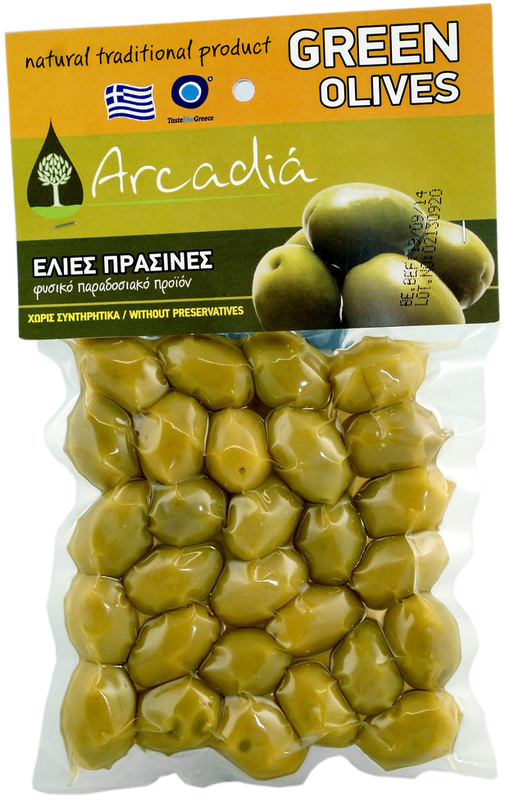 The fruit is picked from September 15th to October 15th, placed in saline and processed for removing the bitterness with caustic soda. 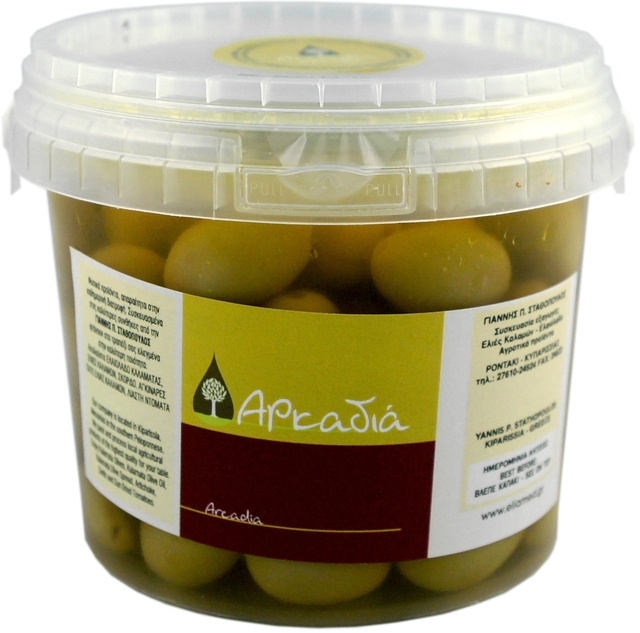 Their size is called “Spanish style”, the fruit is cylindrical-conical in dull green-yellow colour, but if they remain on the tree to ripe they become black.